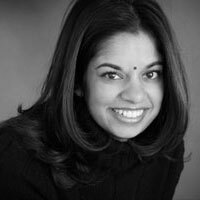 Pianist Maya Murthy earned her Masters degree at the University of Missouri-Kansas City Conservatory of Music under Karen Kushner. She received her Bachelor's degree from Indiana University School of Music, where she studied privately with Henry Upper and Jean-Louis Haguenauer. Since graduating, she continues to perform as a soloist and as a chamber musician. She has premiered new works internationally as well as at SCI (Society of Composers, Inc.) conferences. Along with performing, Maya has served on the music faculties of Kansas City Kansas Community College and the Community School of the Arts through Kansas City Young Audiences. In her free time, Maya enjoys travel, tennis, running, the Simpsons, and National Geographic. She has a keen interest in the welfare and ethical treatment of animals, and lives with her adopted hound mix, Boochi.